WordPress won’t cooperate with hosting the livestream feed here, so travel over to these URLs to watch what is going on at the State House. Speakers are broadcast live, and rebroadcast during downtimes. Meetings and assemblies are broadcast live as well, giving you a taste of the cooperative and open way things are working. Many pictures have been taken over the past week out there. Here are a few dozen that have mostly appeared on the SC Green Party Facebook page, now reposted here for the world to see. It is important to note that the Occupy events aren’t partisan. They aren’t Democratic, Republican, Libertarian or Green events. The Green Party of the US broadly supports the movement, as do other groups like the AFL-CIO. It is evident from participating on the ground that the occupations are going to work in their own way. Preexisting groups can be revitalized by the movement, or they can fight it, but they shouldn’t try to control it. Playing Monopoly on the State House lawn. Tom Clements talks about the Savannah River Site at Occupy Columbia on Thursday, October 20, 2011. Tom shared information on the history of SRS and the plans of industry and the federal government to reprocess the nation’s nuclear waste here in South Carolina. There is a great danger that the reprocessed waste will simply remain in South Carolina, as there is no means of reusing it as fuel. Our October meeting is Wednesday, October 19, 7:00pm at Earth Fare on Folly Road Blvd (in the South Windermere shopping center). Look for us in the cafe. Please bring a friend and join us! Please also make plans to attend these important events (Green Party events and events involving Greens are listed in green. Blvd. Occupy Charleston will be occupying Brittlebank Park for 99 hours in a show of solidarity with our sisters and brothers fighting the good fight up on Wall St, demanding accountability from corporate America for ruining our economy and demanding that they loose their iron hold on our politics. OBP will be erecting a tent city, cooking food, doing marches and holding meetings. They will have live music and open assemblies and speeches and whatever else they decide to plan! Is the Party Over? Thur, Oct 20 11:00am – 12:00pm, Brittlebank Park, 180 Lockwood Blvd. Local party leaders talk about their views regarding the continuing relevance or irrelevance of traditional political parties. Larry Carter Center will represent the Green Party. George Temple, Chairman of the Charleston County party, and Carol Temple will represent the Democrats. Republicans TBA. The Libertarians are also invited to participate. Lowcountry Progressive Network Meeting, Mon, Oct. 24, 7:00pm, ILA Hall, 1142 Morrison Dr. Come be updated on the photo ID law, elect regional Progressive Network coordinators, and make plans for the Oct. 29 state Network conference. Call 803-808-3384 or email network@scpronet.com for information. Adopt-a-Highway trash pickup, Sat, Nov 5, 10:30am, 5th Ave/St Andrews Blvd. Our last pickup of 2011 is Saturday, Nov 5. Meet in front of the historic Emanuel AME Church on the corner of 5th Ave and St Andrews Blvd in the Maryville section of West Ashley at 10:30am. South Carolina Green Party Steering Committee monthly meeting, Sat, Nov 12 noon – 4:00pm, Richland County Public Library, Columbia (downtown/Main branch). Monthly meetings are open to the public and everyone is welcome. If you want to attend, contact anna@charlestonpeace.net for carpooling info. Occupy Columbia is ongoing at the State house. A few hundred people are enjoying the day with a spirited and fun protest. The reaction from people driving by is tremendous! Permission has been worked out with the State House troopers to camp! People will be staying overnight! Participants cannot bring tents, but they can lay down bedding and sleeping bags. People intend to stay for several days. Donated food is being served by Food Not Bombs and area restaurants. Lots of media were there before Noon. For example WIS, interviewing mostly the most outrageously attired folks at first. I think that they got some more serious stuff in before the end. Occupy Columbia. October 15, 9 AM all day and as long as possible. The occupation of Columbia is to begin October 15th, 9 AM on the State House Grounds. This event does not have an end date. We need to make sure that this growth in the population’s awareness does not falter. Though most of the media has decided to black out the heroic actions of the collection in new york it can be certain that it has caught the attention of both the 1 percenters and the other 99 we reside in. If you are unsure what this is or wish more information just google OCCUPY WALLSTREET or visit http://www.occupywallstreet.org or http://www.occupytogether.org for more information. We need to let our own local politicians and media know our own anger and resentment on a system that is strangling the world through greed and convenience. -Occupy Columbia is not a partisan movement; it has no political leaning toward any party of America’s political system. It is a movement seeking alter a broken political system though this is not the sole intent of the movement and all opinions have voice in Occupy Columbia. WASHINGTON, DC — Green Party leaders sharply criticized Democratic Party supporters online and in the media who have tried to turn the ongoing Occupy Wall Street, Occupy America, and October 2011 demonstrations across America into an appeal to vote Democrat and reelect President Obama in 2012. Many of the protesters have expressed their disgust with two-party politics (http://abcnews.go.com/US/wireStory/wall-street-protesters-disgusted-parties-14687840) and the influence of corporate money. Â Organizers have rejected attempts to shoehorn the movement into any party and assert that the protesters come from diverse political persuasions. 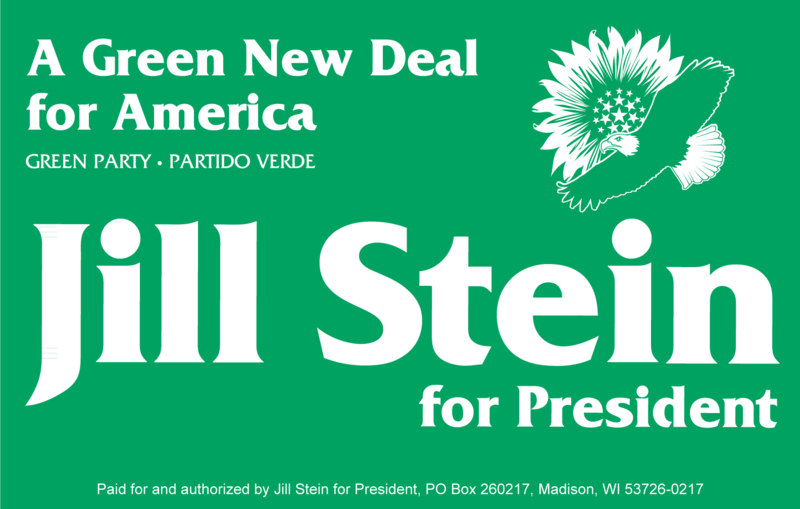 Greens, who are participating in the protests and among the organizers, have pointed to the Green Party’s alternative vision for America, as expressed in the Green New Deal (http://www.greenpartywatch.org/2010/08/11/62-green-candidates-endorse-green-new-deal) and on the party’s web site (http://www.gp.org). The Green Party offers a platform for peace, economic security for working people, millions of new green jobs in conservation and clean energy development, an end to fossil fuel addiction, real steps for curbing global climate change and restoring the health of the planet, universal health care (Medicare For All), and reforms that would limit the power of corporations and restore the promise of participatory democracy and fair elections. Â Green candidates do not accept corporate money.